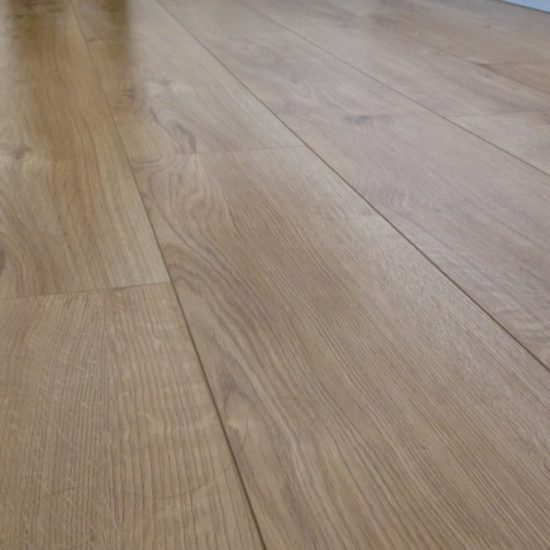 Laminate or Vinyl Flooring - Which is Best? 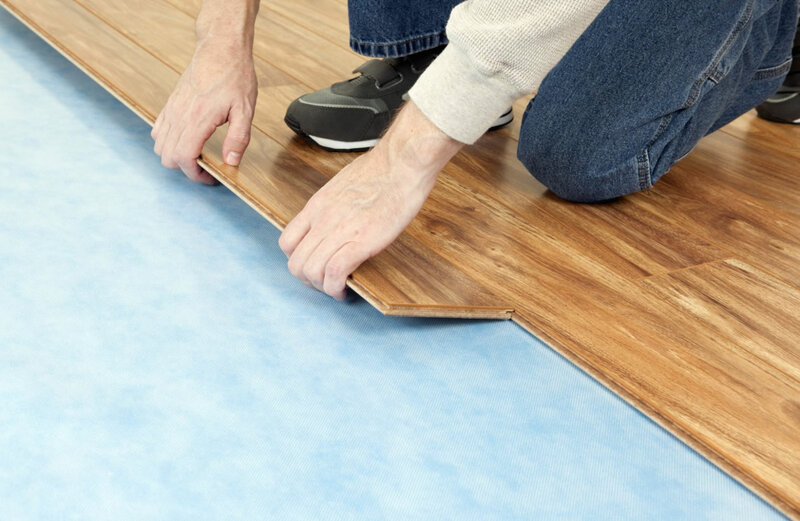 All you need to know about Laminate and Vinyl Flooring including maintenance and installation costs, suitability, appearance and overall value. 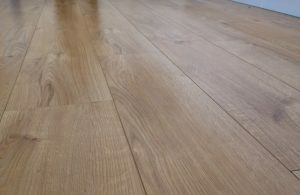 Trying to choose between laminate or vinyl flooring can be difficult with both of these flooring materials having excellent benefits, as well as distinct drawbacks that need considering. Both are affordable, easy to install, and do not take too much time to maintain. However, there are some issues with the quality and appearance you should consider before you decide between the two. When comparing the two materials, this simple guide will help point homeowners in the right direction. Laminate is 99% wood; this in and of itself is an indication that the quality is fairly high. You don't have to worry much about warping, water penetration, or other forms of damage, as they are not likely to occur. This is even more so the case when you shop around and buy from a reputable store, as well as opting for a reliable tradesman to do the installation work for you. 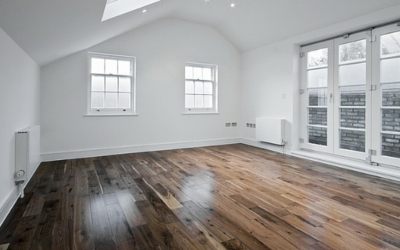 Struggling to choose the right laminate flooring? Check out our article on the best laminate flooring. Laminate is more natural in appearance than vinyl as well and it does tend to look better. This is likely to increase the resale value of your home, more so than if you were fitting vinyl. So, if resale value is important, this is obviously a superior choice, over the vinyl material, when choosing a new flooring to install in the home. The thickness and warmth of the material also makes laminate far more comfortable to walk around on. If you walk around barefoot in your home often, or even if you are walking around with shoes, you will definitely feel the difference between the two materials, and the laminate is going to feel far more comfortable than the vinyl flooring. Of course, there are some drawbacks to consider, most notably the overall cost. Laminate is a more expensive material than vinyl, and it is slightly more difficult to install so the cost will likely be higher when hiring a flooring specialist. 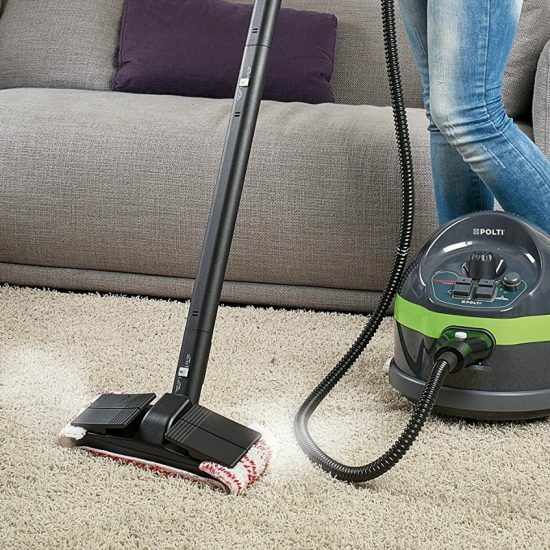 It also requires a little more maintenance in terms of sweeping and mopping, to preserve the natural brilliance and appearance of your new flooring. Although it is a more natural looking flooring material, and is a little more durable than vinyl materials, you should also weigh the additional cost you will pay for the installation, as well as added maintenance you'll have to do, if you choose to install new laminate flooring in your home. Natural appearance, as it is made of 99% wood material. Comfortable to walk around on and provides more support. Easy to clean and looks good. It doesn't come in as many varieties/colours as vinyl. It does require a little more maintenance in terms of cleaning than vinyl as well. Sure, vinyl from the past is dingy, prone to damage, and simply looks old. However, vinyl which is manufactured today is much sturdier, it looks more elegant, and it can withstand heavy traffic in the home. It is made of 100% plastic material finish, and it comes in dozens of finishes, textures, colours, and grades. So, regardless of your style, or the type of decor you have in your home, you can easily find an option which is going to fit in perfectly. 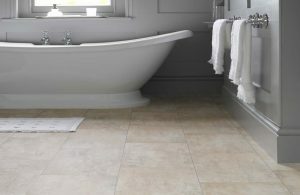 Vinyl is not prone to water damage, it is superior in terms of resistance to moisture (so it is a great choice in bathrooms), and laying of vinyl is fairly straightforward, which allows a homeowner to DIY the job, making it more cost efficient for those who are on a tight budget. There are some drawbacks to consider when it comes to choosing vinyl, rather than laminate, however. First off, the resale value is not as high; vinyl is still viewed as sub-par in terms of quality, so it is not going to be as valuable as a laminate material. Additionally, it can shift, and it is not as sturdy as laminate. It is not as easy to walk on and doesn't provide as much comfort on your feet when walking on it. Ultimately, for an affordable option, vinyl is a great choice. However, the cheaper finishes, the all-plastic design, and the fact that it is not as attractive in appearance as laminate are some things which do detract from the material, for those who are considering it for their home. Extremely easy to care for and maintain in the home. Perfect for areas where it gets damp as it is water resistant. 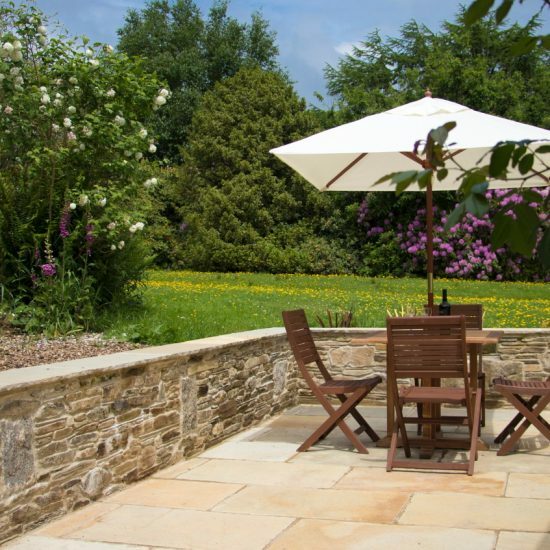 Fairly easy DIY project, which can help reduce costs for installation. Not as luxurious in finish, texture, or design, as laminate materials. It does not hold its value as well, and isn't as highly valued in the resale aspect. It is prone to damage and shifting. The overall cost of installation and new flooring is going to be cheaper for vinyl, although only for medium or premium quality materials, as budget range options for both materials are around 5 per m2. 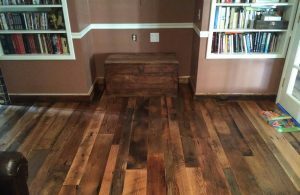 You can even do the installation yourself, which will greatly reduce the overall price of installing the new flooring in your home. If you are on a very tight budget, or if you are simply looking for the most cost-effective solution for new flooring in your home, then vinyl is probably the best option for you. In addition to a lower price point, vinyl is also easier to maintain and treat. It requires virtually no work at all for you to preserve it. 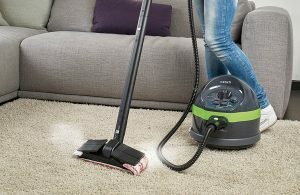 As long as you sweep and mop it every so often, it should retain its form and appearance fairly well over time. Because it does not require much work, many homeowners are going to choose this material over laminate. Additionally, the fact that it is cheaper to purchase upfront, and that it is going to cost less for you to maintain over its lifetime, are some aspects which make vinyl a superior choice over laminate, for the budget-conscious consumer. 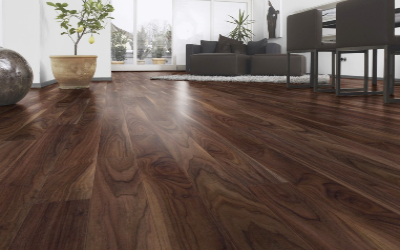 For those who prefer a more refined and elegant appearance, you are going to choose laminate over vinyl flooring. It not only looks closer to real hardwood grains, it is also made of 99% wood material, so it is sturdier, and it is less prone to being damaged easily. Laminate floors not only appear more elegant in the home, they also have a finer brilliance, detail, and texture, so you can easily spot the difference between it and a cheaper vinyl material. Homeowners will also appreciate the texture, detail work, and the shiny appearance of a laminate finish on their flooring. You can see the design and textured patterns throughout the flooring, while the vinyl material appears a little blander, and does not showcase as much texture and definition to it. If you like the idea of laminate because of it's additional aesthetic appeal, you might want to consider installing ceramic tiles or hardwood flooring. Regardless of your budget, if you are simply looking for something which has a nicer appearance, laminate is the superior option. It is more textured, has finer design aspects, and really shines through in any home. Before deciding between laminate and vinyl, you have to consider all aspects of the flooring materials. Sure, the cost and appearance are important, but there are also other aspects which should drive you through the purchase decision. 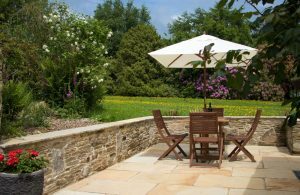 You should consider the safety aspect; vinyl is a bit better in rooms which get damp or wet easily, as it is going to resist water penetration. You should also consider ease of maintenance and care; and, if you plan on selling the home soon, resale value is an aspect you need to consider as well before you decide on which of the two materials to choose from. Overall decor in the home is another aspect to consider. You want the floors to look natural and fit the theme of each room well, so make sure you consider this prior to choosing the material you are going to install. Ultimately, you need to choose what you love, and what you can afford. So, before you make the decision and select either vinyl or laminate for your home's flooring, these are a few of the many aspects you need to consider, in order to ensure you make the right decision. Every homeowner has their personal preference and taste. However, laminate appears to be the superior option between the two flooring materials. 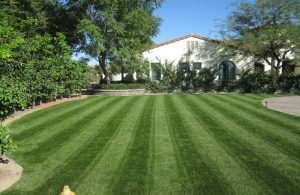 It retains its value over time, it looks elegant, it is made of sturdier material, and it is very easy to install and maintain. Additionally, when you compare pricing, you can find great deals, and some companies will even offer free installation if you purchase all flooring with them. Vinyl is a great option if you are on a very tight budget. However, if you can spend a bit more, and are looking for a far superior choice for your home's flooring, laminate is the perfect option. It is clean, it will stand out, and it will greatly increase the resale value of your property, if and when you do decide to sell your home.